Think before you speak. This idea is something that’s hard for kids (and often adults) to remember. Here are some guidelines to share with your kids. 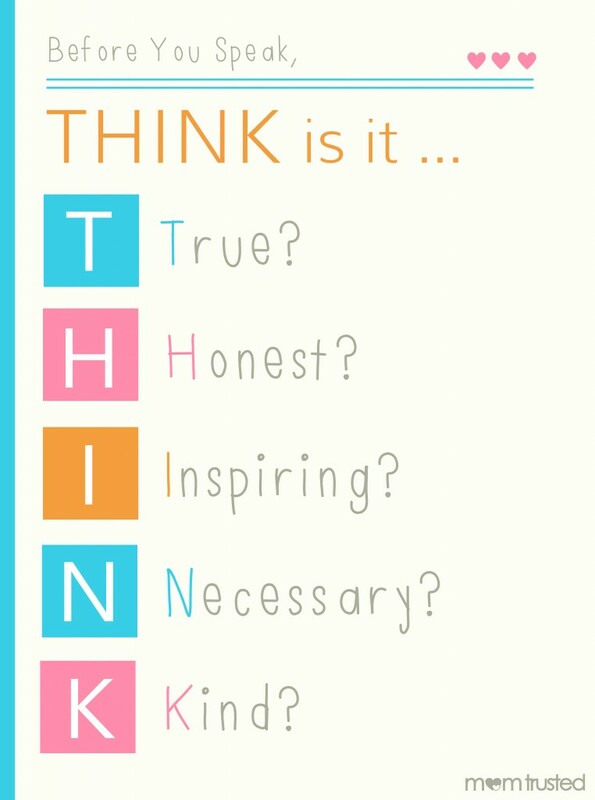 Before you speak, think about what you are going to say. Is it true? Is it honest? Is it inspiring? Is it necessary? Is it kind? Print this out and hang it up as a reminder. We’ve searched and searched for the origin of this idea (many people have created a version of it). If you know where it started please comment here so we can give proper credit to the author. Thanks! !